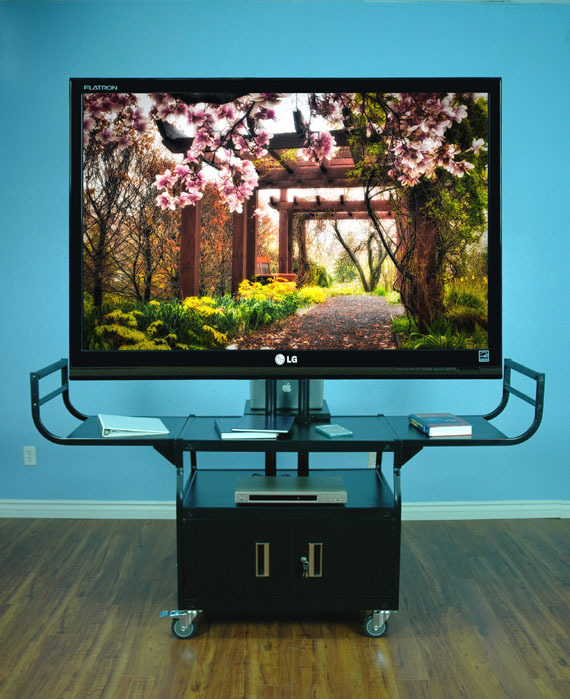 Unique and stylish mobile cart for large LCD screens. All carts are equipped with handles for easy movement and screen protection. Extra large and wide top shelf for presentation equipment and materials. TV monitor can be tilted +/- 15 degree on the mount for better field of vision. Equipped with swivel caster for easy mobility (two that lock). Come with UL listed/CUL approved 15′ cord, 4-outlet power strip with surge protector and cord winder. All models ship UPS or FedEx and are ready to assemble.